Is a Blood Moon Prophetic? Planet earth just survived a rare event, a full Strawberry moon on Friday the 13th. The last time a Strawberry Moon landed on this superstitious day was in 1919...and such a coincidence will not occur again until the year of 2098. .... I know Friday the 13th is an arbitrary designation that has no bearing on the course of extraterrestrial events, but nevertheless it is still fun to speculate on the improbability of the two events falling on the same day. 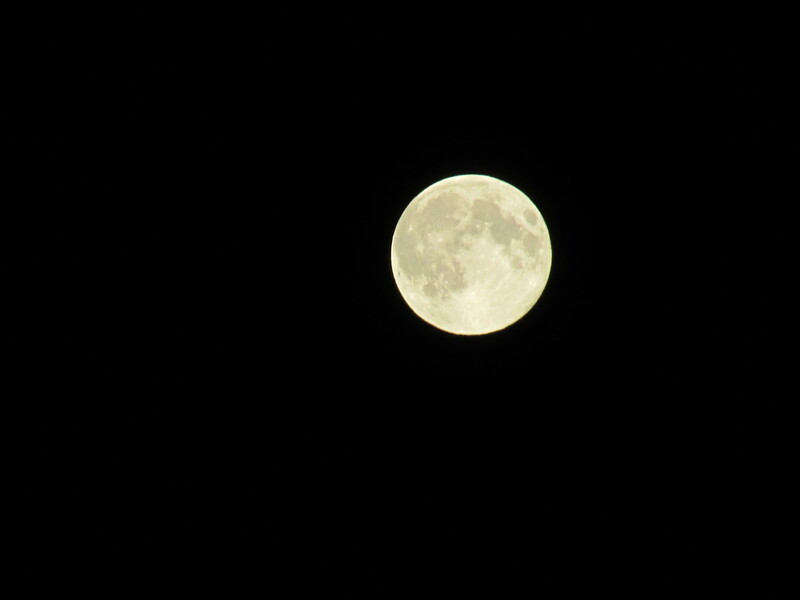 The full moon that occurred on Friday June 13th, 2014 was designated a "Strawberry Moon". Even though the nearby celestial object did display a slightly, rouge color, this is not the same as the lunar event that has been labeled a "Blood Moon". 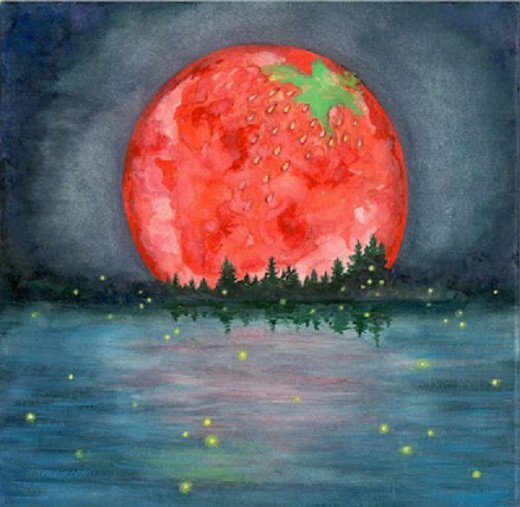 The Strawberry Moon is so named because it occurs the month of June, a time of year, when strawberries are bearing fruit. 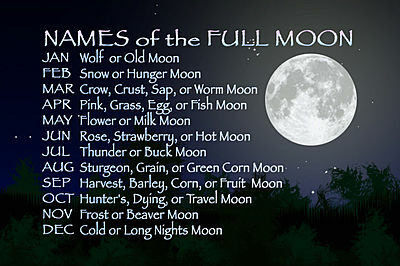 Since strawberries are indigenous to North America, the full moon of June often goes by other names in other parts of the world. For example in Europe, it is known as the "Honey Moon" or "Rose Moon". Incidentally, this full moon which precedes the summer equinox, derives its color from its low position in the sky. 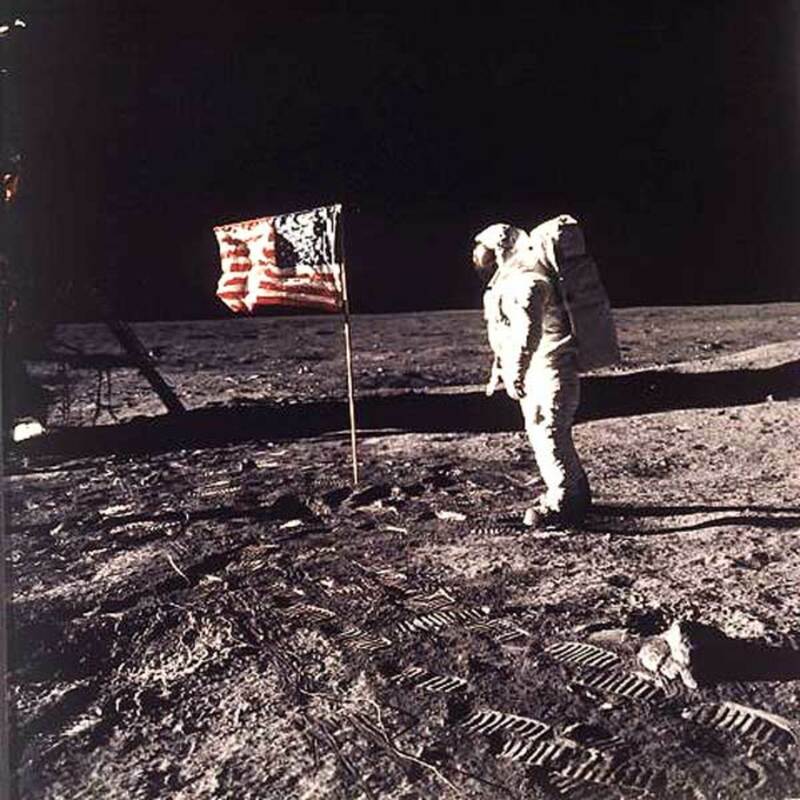 For when the moon is viewed near the earth's horizon, it is tinted by light passing through the atmosphere, not by any event that might occur on the moon's surface. Why a Blood Moon Is Red? Although a blood moon does resemble the strawberry moon as it rises from the horizon, the two lunar events owe their similar color to slightly, different physical phenomena. This become quite obvious, when the moon is observed, while it is in high in the sky. When in this location, it is only the blood moon that will retain its noticeable red tint. 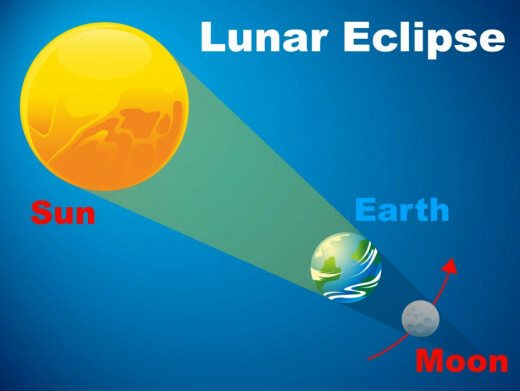 To understand this concept, it is necessary to examine the anatomy of the lunar eclipse, which occurs when the earth passes directly between the sun and the moon. At the height of the eclipse, the earth blocks solar light rays from reaching the moon. 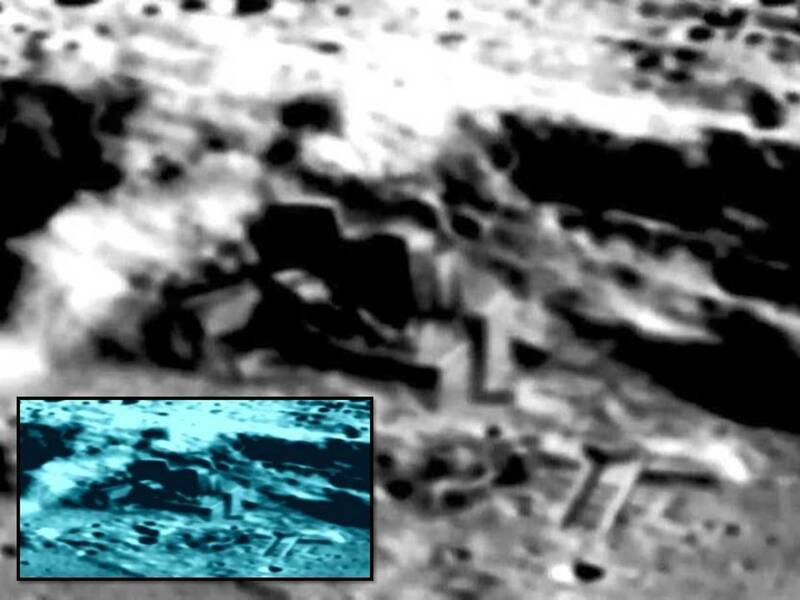 But not completely, for the earth's atmosphere is capable of refracting some light towards the surface of the moon. Not surprisingly, red light waves, because of their longer wavelength, are most easily refracted by the atmosphere, thus giving the eclipsed globe, its reddish color. On the other hand, a full moon that is not in eclipse will reflect all spectrums of visible light back towards planet earth. It is only when this reflected light encounters our atmosphere that a rouge color is seen by observers here on earth.....and then this phenomena will only last for a relatively short period of time. Not all lunar eclipses are total, for a partial lunar eclipse is, in reality, a fairly common night-time event. 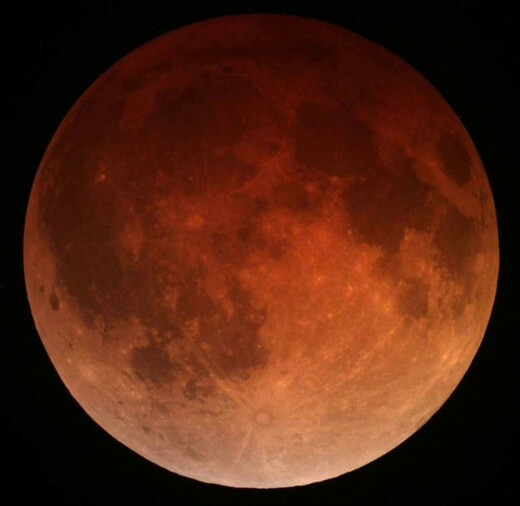 When four total lunar eclipses occur in secession, the total sequence is known as a tetrad, Currently, stargazers are witnessing a foursome of lunar eclipses. The first lunar episode occurred on April 15th in 2014 and the final one will pass our way on Sept. 28, 2015. Each eclipse occurs at a six month interval. 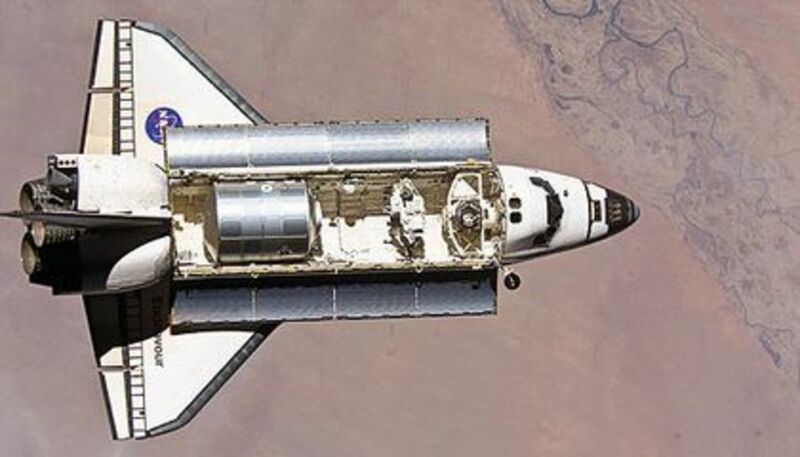 The last time earth viewers witnessed such an event was in 2003-2004 and the next one will not occur until 2032-2033. What is particularly unique about the current set, is that all four total lunar eclipses can be seen from North America. Even though this quartet of lunar eclipses will occur during times of increased strife and conflict among the human population, the idea that this unusual astronomical event is a bad omen or harbinger of human misfortune has no scientific basis. Undoubtedly, there will be self-proclaimed soothsayers and prophets, who will link these astronomical events with man's activities on earth. However, recent episodes with the predicted arrival of Comet ISON in 2014 and the end of the Mayan calendar in 2012 may leave the general public less receptive to end-of-the-world scenarios. 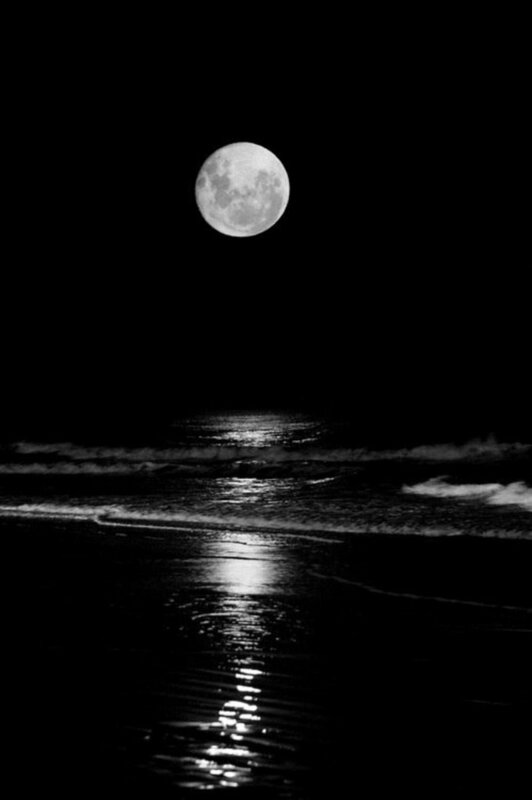 The brightness of the moon is not directly proportional to how much (in percentages) of the moon is visible to the naked eye. For example, a moon that is 95 per cent full is only half as bright as a full moon. Another interesting fact is that the first quarter phase of the moon is slightly brighter than the last quarter phase. This condition exists because the moon contains both bright spots and dark spots that are not evenly distributed across its surface. So during the last quarter, more of those dark spots are visible from earth, while just the opposite is true for the first quarter. 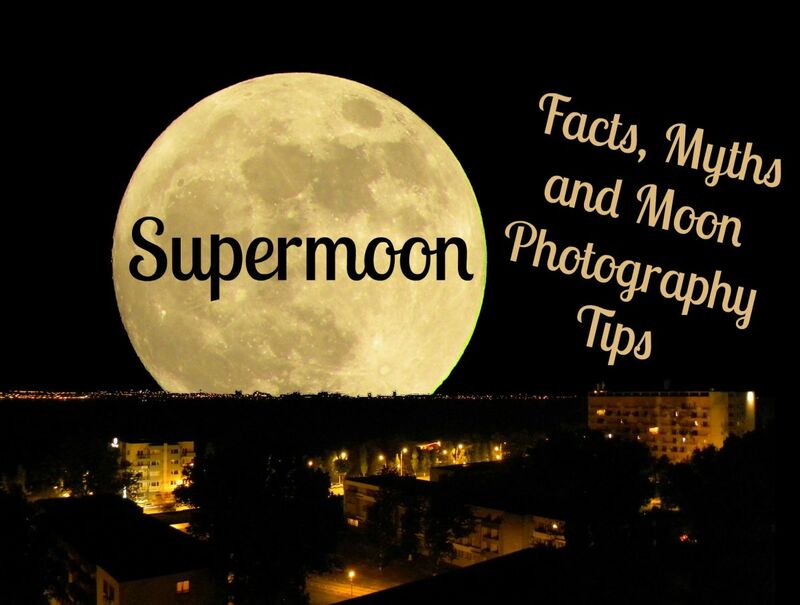 A "Super Moon" describes the situation when a full moon occurs as the moon passes closest to earth over the course of its elliptical orbit. 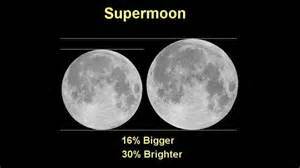 Overall, A "Super Moon" can be 20 per cent brighter than a full moon. 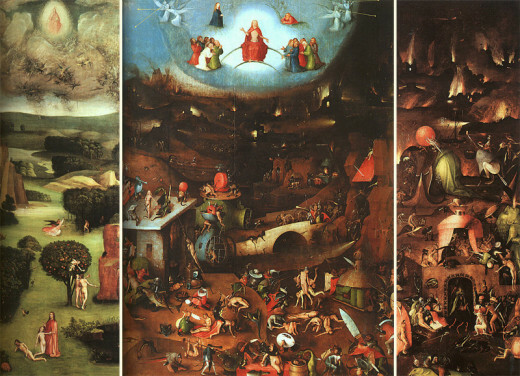 As the quartet of blood moons approached, several pastors have made correlations between the four blood moons and modern interpretations of biblical prophesy. The first to do so was Mark Biltz, who back in 2008 predicted that the blood moons of 2014 & 2015 would signal the return or "Second Coming of Jesus Christ., which would actually occur on the fourth lunar eclipse in September of 2015." Taking a more cautious approach was another pastor named John Hagee, who in 2013, wrote a popular book called "Four Blood Moons". Instead of calling for a return of Christ, like Biltz, Hagee simply stated that the four blood moons would signal to the Israelis a time that would be originally tragic and then followed by triumph. Hagee's book has sold well, over 400,000 copies so far, yet still his analysis contain at least one major flaw. Of the four blood moons, only one was visible in Israel and even that sighting was partial.